Here’s a litmus test: ask yourself, “As a millennial, how would you react if the stock market went down 50% today?” Would you panic and sell all your shares? Would you ride out the bear market? Or, would you see it as a good opportunity to buy more shares? Personally, I always try to ride out a bear market and sometimes, take a gamble and buy more shares. I need to add a very big caveat here: It is not easy. Please do your own due diligence and if your stomach can’t take it, you would be better off not entering the stock market. Nothing is guaranteed in the stock market. There is a chance that all your money will be washed away. Yep, years of saving money, down the toilet just like that. But, in SNC-Lavalin’s case I feel it is a good opportunity to buy more shares and take a gamble. This is exactly what I did today. The plan is to hold this company in my TFSA for a long time. It does help to be patient when you invest in the stock market. I bought 146 shares of SNC-Lavalin Group Inc (SNC.TO). Each share was bought at $34.15 for a total investment of $4986. SNC has recently been on news for all the wrong reasons. There has been allegations that the Prime Minister’s office attempted to influence Justice Minister and Attorney General Jody Wilson-Raybould who resigned on February 12 in an ongoing prosecution of SNC-Lavalin. Additionally, SNC is accused of paying Libyan officials around $47 million to influence government decisions between 2001 and 2011. If convicted, it would mean a 10-year ban for SNC-Lavalin from bidding on federal contracts, which could cripple the company. Yes, the Montreal-based engineering firm has found itself trapped in a downward spiral of negative news. As a result, shares are currently trading around a 10-year low. Does it make sense for me to bet on SNC-Lavalin right now? I plan to go with the contrarian pick and say it does make sense for me to believe SNC should be able to weather this storm. First off, SNC-Lavalin has achieved 18 consecutive years of dividend growth. This makes it a stable and powerful company on the TSX. SNC also owns part of Toronto’s highway 407 electronic toll road. To me, this is SNC’s biggest trophy in its portfolio. Last week, SNC announced it had secured a deal to sell a 10% stake in Highway 407. This is true. But, I still believe SNC’s stake in highway 407 remains a “cash cow” for the company. 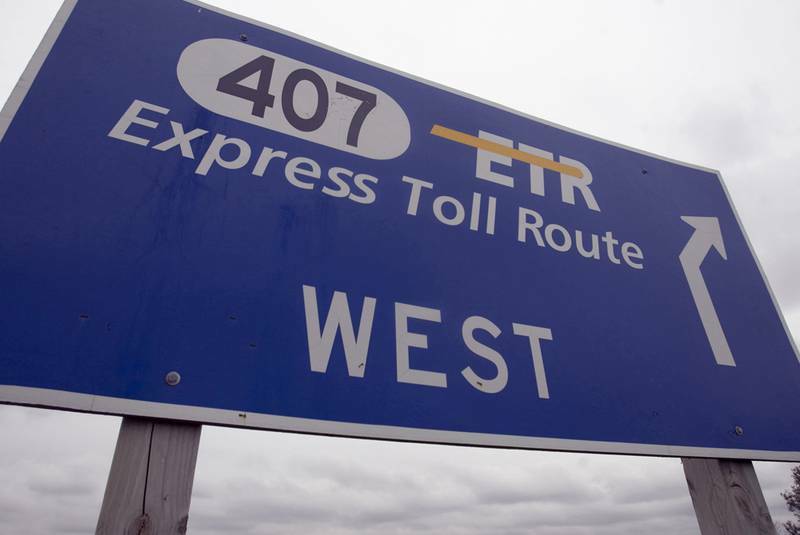 Hundreds of thousands of drivers choose to use 407 ETR every day. Yep, you heard me right. EVERY DAY. 407 ETR is the world’s first all-electronic, open-access highway and offers a fast, safe and reliable trip across the Greater Toronto Area. I have personally used highway 407 a couple of times. One time, I was late for my soccer game so I had to take the toll route. When I received the bill on my mail, I was not ecstatic. However, I vividly remember talking to myself and saying this is an amazing business model. Would it not be cool to own a tiny share of the business? In other words, a minority owner. Heck, yes. In September 2017, Financial Post reported Highway 407 could be worth up to $45B in a decade, and that’s great news for SNC Lavalin. Furthermore, Quebec Premier François Legault said his government is not ruling out help for SNC-Lavalin. Legault said all options are on the table when it comes to saving the troubled Montreal-based firm and the thousands of jobs it provides. Legault also added his government could buy shares in order to prevent the company from being sold or dismantled. But, here’s the rub: we can’t ignore SNC’s political and legal issues. As mentioned earlier, SNC could be banned from bidding on Federal contracts for a decade. Likewise, it could get more difficult for SNC to bid on international contracts as well. It is very challenging to predict where things might end up. Having said that, overall, if you are a millennial like me, when the stock market goes up, you should be screaming enough four-letter words to make The Dalai Lama cry. I hope so because your parents and if you are lucky, your grandparents should be happy during a bull market. Not you. In sharp contrast, you should giggle like a nine-year-old girl when she sees her crush during a bear market. I will take a gamble and say this is what’s happening with SNC currently. Next time, I am driving via 407 I plan to honk at my fellow drivers and say – Thank you! Remember I own a tiny share of 407 starting today. Lastly, I have yet to notice “bad” drivers on the 407. Have you? Previous Post Five Online Banks You Should Bank With.